September 16, 2018 brought another successful National Drive Electric Week in Minnesota to a close. Drive Electric Minnesota partners held events throughout the state and collectively educated nearly 1,500 people on the benefits of driving electric. Catch some of the event highlights below! Approximately 650 people swung by the electric vehicle display at the 25th Annual Harvest Festival in Duluth, MN to check out the cars and ask questions to owners and Minnesota Power. Vehicles on display included the Tesla Model X, Chevy Volt, Chevy Bolt, and Nissan Leaf. Connexus Energy engaged with over 125 people as part of its annual electric vehicle display at Ramsey Happy Days. 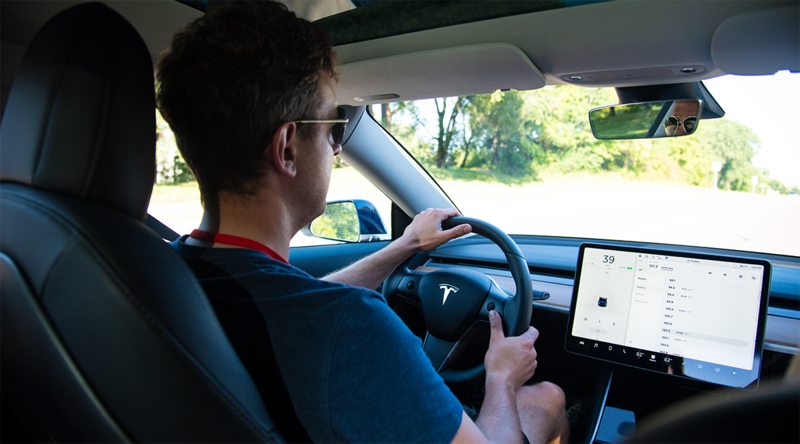 Attendees chatted with owners, interacted with the Tesla Model S, Chevy Bolt, Nissan Leafs, electric Zero Motorcycle, and an electric bicycle on display, and had a chance to test drive a Mitsubishi Outlander, Tesla Model X, Chevy Bolt, and Nissan Leaf. Dakota Electric Association (DEA) hosted a ride and drive event exclusively for members within its service territory. One of the largest ride and drives to date, this event provided over 200 test drive experiences. Members appreciated having their questions answered by electric vehicle owners while enjoying some hot dogs and cookies provided by DEA. Many dealerships provided vehicles for the event including Motorwerks BMW, Walser Nissan, White Bear Mitsubishi, Kline Volvo, Park Chrysler Jeep, and Motorwerks MINI. Over 120 curious area residents stopped by the Elk River Municipal Utilities (ERMU) and City of Elk River Electric Vehicle exhibit at the Farmers Market on September 13th to talk with electric vehicle owners and see some electric vehicles on display. Alongside the utility’s Chevy Bolt and the city’s Mitsubishi Outlander, area residents brought a Chevy Volt, Chevy Bolt, Nissan Leaf, and Zero SR motorcycle to display. In addition to general electric vehicle information, residents learned about the opportunities that exist in ERMU’s service area. There were many residents that were interested in the affordable rates offered by ERMU for charging electric vehicles during lower demand periods, rebates for the installation of an EV charging unit, and other incentives that are available to individuals purchasing an electric vehicle. Approximately 125 people attended to learn about electric modes of transportation and tools including electric vehicles, electric bicycles, electric lawnmowers and weed trimmers, and more. In addition to learning about electric transit and tools, attendees also had the opportunity to try them out first hand through test drives and hands-on demonstrations. Oak Grove Presbyterian Church, which hosted the expo, also dedicated its two new Level 2 charging stations at the event. Other events held during National Drive Electric Week in Minnesota included Beltrami Electric Cooperative’s Electric Vehicle Ride and Drive on September 11, Ride and Drive at the Minnesota Motor Company on September 13, and an electric vehicle display at the Sierra Club North Star Chapter’s 23rd annual Bike Tour on September 15. Additionally, Minnkota Power Cooperative took their Chevy Bolt to several events in Minnesota and North Dakota. Drive Electric Minnesota is excited about all the buzz that National Drive Electric Week created in Minnesota in 2018 and is already looking forward to how we can grow our impact next year. Don’t miss the next event! Sign-up for our newsletter to get all the latest resources and opportunities to learn about and experience the benefits of electric vehicles.